$12.50 To see product price, add this item to your cart. You can always remove it later. DropBox Business: Standard offers powerful new collaboration and sharing features combined with essential admin tools and a generous amount of included storage. DropBox Business: Advanced offers powerful new collaboration and sharing features combined with more sophisticated admin tools and as much space as you need. 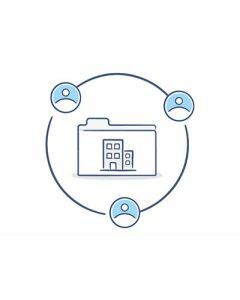 DropBox Business: Enterprise offers scalable controls and customized support designed to maximize productivity and security for large businesses. Dropbox Education is designed to meet the needs of educational institutions and schools. With the option to purchase the right amount of storage for your team, and preserve up to 120 days of version history on all files, Dropbox Education allows you to tailor your deployment to your budget. This option extends the Advanced plan for Dropbox Business by allowing you to carry out complex data transport processes as you transfer data into Dropbox. It also shifts you to a tiered storage model with generous quota levels designed for large-scale use cases.